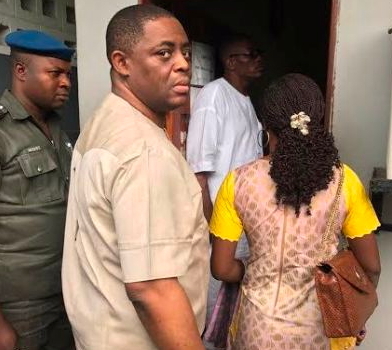 The EFCC has reopened the N4.9billion money laundering case against ex-President GEJ’s campaign Director, Chief Femi Fani Kayode. The former aviation minister was picked up by the EFCC after he stepped out of a court room today in Lagos. FFK was charged alongside ex-Finance Minister Usman Nenandi and one Yusuf Danjuma for unlawful payment of N4.9billion. 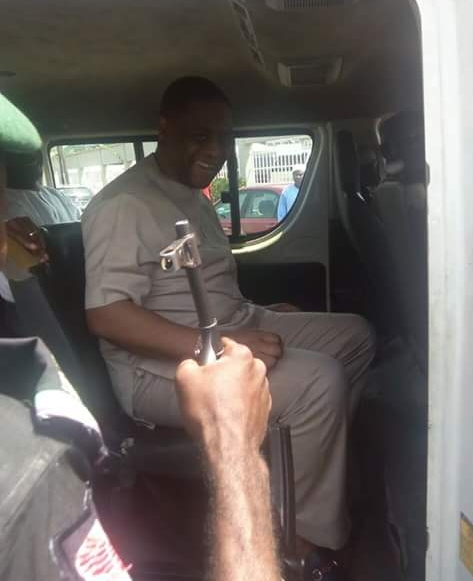 They all pleaded not guilty and were granted bail however, FFK was picked up by two EFCC officers dressed in White Kaftan shortly after he stepped out of a Federal High Court in Lagos today. He is currently at the agency office in Lagos. Before his arrest, the judge adjourned the case to November 14 & 15 for trial continuation. I don’t understand the mode of operation of the EFCC any longer. 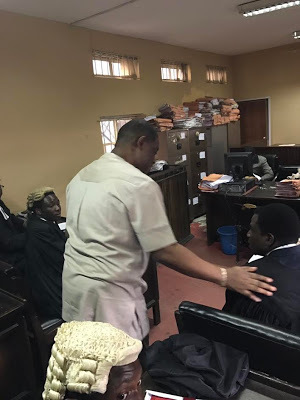 This man’s case involving corruption is still very much active in the court and has already reported to the court for further hearing and the court did eventually adjourn the case to november 14&15 for trial continuation. Then why should the EFCC get him arrested again immediately after stepping out of the court since his case is still in the court? This is the reason many Nigerians call this time of system operated by mr president as a witch hunting of the opposition members. Those charges filed against him in the court has not been substantiated or proven yet, then why this type of re-arresting? 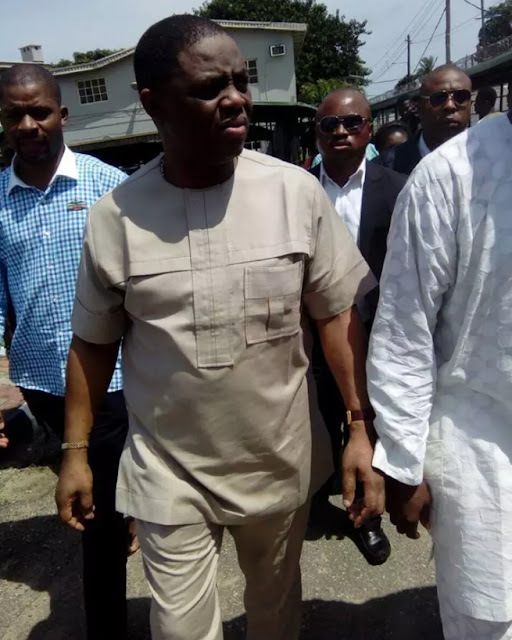 It is well understood that Femi Fani Kayode is a strong critic of president Muhammadu Buhari’s government. And he recently sent a very devastating and insulting write up to mr president. And I thought as much that those strong worded write up against Buhari might get him arrested again. Now it has happen. I guess you shared in the looting of the billions. If not u will be in support of this thief being castrated. @Endure you have just said it. Its all about witch hunting the opposition party. Mr president is only on that seat to make life miserable for the opposition party, while the masses are suffering. Mchew yeye they smell. True talk, @ENDURE nobody undstand their mode operation any longer is like they are not guilding by the law again but the word of mouth. What surprises me most is that up till this moment some Nigerians still lack good knowledge about the method,technique and style of the anti corruption war being operated by president Muhammadu Buhari. They are still acting as people who don’t even know their left and right. That is why someone like @Muyi would give such a senseless and meaningless comment. Can you point at any APC member Buhari has arrested on the ground of corruption and the subsequent prosecution of such individual? Has your president treated The scandalous,reprehensible and shameful alligation that were raised concerning the illegal sales of promotion examination sheets by the DSS to the northern civil servants? Or do you think you can kill and permanently end corruption in the country if you allow your fight against it to be sectional,halfway or one sided? And many of you will come out and boldly back up this pure segregation and unacceptable partiality in the name of fighting corruption. Nonsense! @ Endure, Muyi is entitle to his opinion in this forum just as you. The fact remains that everybody cannot be on the same page or agree to your own idea. Let me draw your attention to what you don’t know about this case. 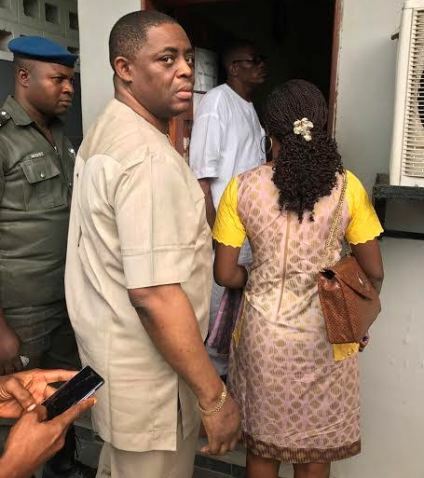 Fani-Kayode was charged on a separate case not on the same case that is still pending in Court in which he has perfected his bond. He cannot not be charged on the same case twice and DSS already aware about that. For your information FFK was previously charged on his role in diverting some of Arm’s procurement deal money traced into his account. The new charges is about Fraud and Money laundering involving him and other four people. That is a separate charge. @ Endure I have been observing you about your eagerness in bringing ethnicity and politics into very sensitive issue like this. It is not about PDP or APC and Buhari is not witch-hunting any body. It is about DSS doing its investigations and more hiding dirty deal kept showing up. We need to stop being tribal and sentimental if we want to repair the damage already done to this country. DSS staffs are officers of law and know much about law even though they are not one to judge this case. They will not do anything that will subject them to ridicule. We cannot teach them how to do their job so, stop being bias about this President. If GEJ could not prosecute those who looted Nigerians treasury in the previous administration because he wanted to have his own share that is his problem. Every administration cannot be corrupt and Buhari has taken a different dimension in bringing sanity back into this nation. Why cant we respect his approach and stop unnecessary criticism. @jilo what I can fully understand about you so far is that,you have always refused a simple truth and fact about the way your president has been going about his fight against corruption. Is their anyone in the country who has condemned any fight against corruption? Capital “NO”. Look let me tell you that every nigerians love the fight against corruption and the recovering of our looted money. But do you know that your president has been selective? Does that not matter to you @jilo? You tend to be one way thinking individual and that is why you will never accept that your president has been fighting corruption in a manner that will latter stir up political tension in the country. And that is also the reason why it will never matter to you how Buhari has been glaringly and repeatedly sweeping all corruption charges against APC members under the carpet and focusing his crusade only on the PDP party. Do you know that at the moment the arrested judges have now allege Ameachi of giving them bribe to disqualify the vote that brought Fayose to power? Are you also aware that up to this moment your best president of nigeria has not said anything about it? So @jilo I will advice you to stop being insensitive and also stop the one way thinking of yours and accept that your president has been utterly wrong and has failed in terms of fighting against corruption in nigeria. Justice and equality should be the watch dog of any president of a country. The level of injustice perpetrated by Buhari in his fight against corruption is alarming and visible. You must learn to say the truth and accept it. And I will come to conclusion that If your president leaves power, then you will latter come to know that Buhari and his APC cabinet are not innocent as you wrongfully think. I am not a fan of FFK but a promoter of rule of law. If someone is charged to court for alleged offence which is yet to be proven or decided upon by a competent court based on credible and reliable evidence that will be substantiated and the matter is adjourned why not allow the law to take its course. If fresh evidence comes to light then the police or the EFCC must have done a bad investigation in the first place. 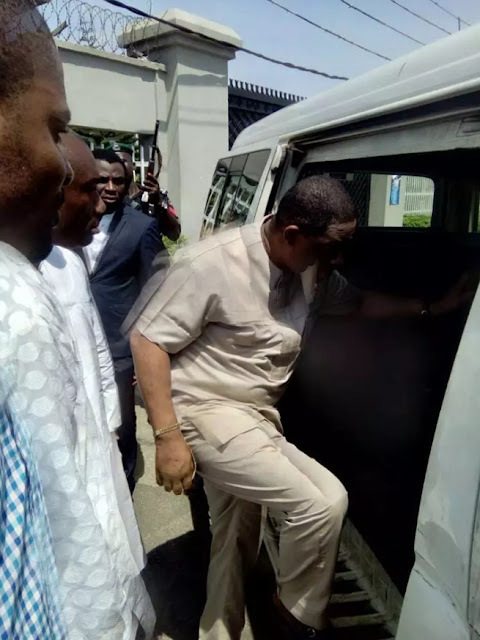 Before you bring a matter to court you must first arrest and tell the person why he/she is been arrested and they will prepare their defence but in Nigeria media trial is the order of the day and this is really killing our criminal justice system. 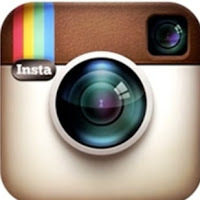 @AK you are a highly reasonable and knowledgeable someone. Some unwise nigerians will never see anything wrong with the current administration’s partial way of fighting corruption because of the passion they have for president Muhammadu Buhari. They have deliberately ignore the dangerous method buhari has chose to fight corruption in the country. Whichever way the EfCC,DSS and other security agencies is fighting corruption is correct in there eyes and should not be questioned even though it is not according to the rule of law or according to the constitution. Of course that is clearly an absurd and senseless way of reasoning! Such ones will be reminded someday that the people they consider as saints are indeed corrupt themselves.